The scriptures analogically refer to life’s spiritual conflicts as forms of military combat and sporting competition, and to us believers as soldiers and athletes. If we could see with our physical eyes what we look like spiritually, would we see ourselves as genuine carriers of the “marks of Christ” (as the Apostle Paul said that he did)? Would we see a fresh application of the blood of Jesus Christ to our life, mixed with our own fresh blood from the wounds received in victorious combat? Would we see upon us scars from battles where [with Christ] we had won hard-fought victories in the recent past? Some fellow believers do not like the analogies [for the spiritual life] of combat and sporting competition, of soldiers and athletes. To them, it sounds too violent or too physical, and not intelligent or sophisticated enough. Life is an intense war filled with battles. This particular war has no allowance for “conscientious objectors” or for “pacifists.” Granted, how we engage in the war can and should be prayerfully considered and discussed, but a rejection of participating in this “war” or this “competition” is not acceptable in the eyes of God. “Finally, be strong in the Lord and in his mighty power. Put on the full armor of God, so that you can take your stand against the devilʼs schemes. We have been provided “the full armor of God” (or in the sporting analogy, the ‘football gear of God’) complete with “weapons of warfare” (that have Divine fire-power) with God’s full anticipation of our full participation! See you at the altar of prayer, my friends. It’s time for war! I was diagnosed with Fibromyalgia and Chronic Fatigue Syndrome in 2000, that was 13 years ago. In 2006, about 7 years ago, I had reached such a level of pain and fatigue that I resigned from pastoring a church. I was unable to work, having to be in bed so much. I believe in Divine healing through faith in the name of Jesus Christ. He has instantly healed me in the past of things, and I have witnessed people being instantly healed while I laid hands upon them and prayed in Jesus’ name. I have seen a 14 year heroin addict instantly delivered as I prayed for him and then touched him. 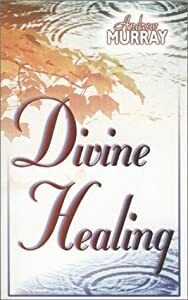 So, you might ask me why I still believe in Divine healing through Jesus’ name since I have not been healed after 13 years of praying for healing, and having been prayed for by countless others. You may ask why I still think God loves me if He has not healed me and has allowed me to suffer so much pain for so long. Jesus’ Crucifixion is our perfect example of how our Heavenly Father at times chooses to accomplish His will through a season of our sufferings rather than through our deliverance, through our bankruptcy rather than through our prosperity, through our sickness rather than our health, and for some through their death rather than through their life. Does this mean that I have given up hope? No, I believe with all my heart that God is going to heal me, either miraculously or medicinally. There is just a season of time that must pass so that God’s will may be accomplished through my life as I suffer these painful diseases. Again, “not my will, but Your will be done, Father!” I can honestly say that God grants me the grace that I need (sometimes enough grace for the next moment or two, but I never run short on His supply of grace) and the peace that I need, to be able to truly desire for God to accomplish His will in and through my life BEFORE He heals me. What about your life? Are you experiencing a prolonged season of suffering? Do you want God to provide the same grace to you that He has provided to me? Do you wish that you could genuinely desire God to accomplish His will in and through your life even if it means continuing in your suffering a little while longer before His healing is finally dispensed? Now THAT is living by faith!